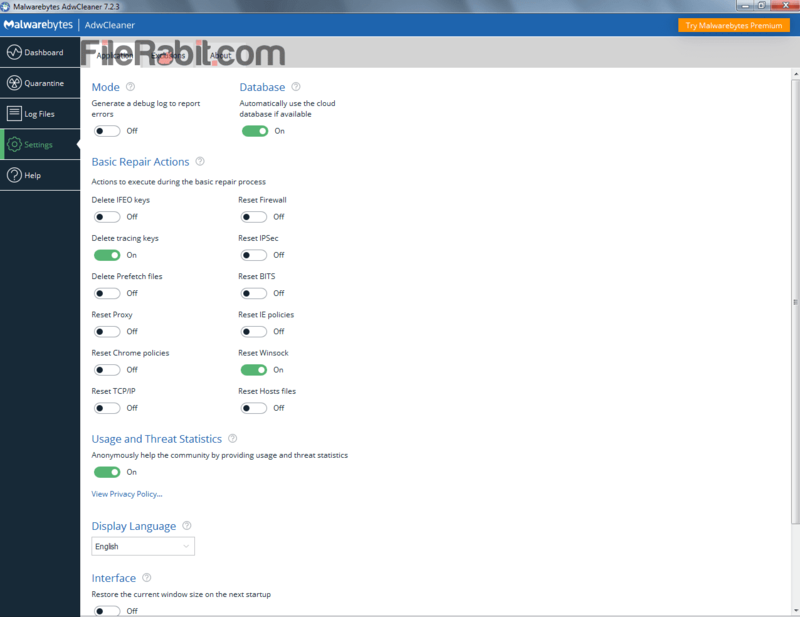 AdwCleaner is adware and suspicious toolbar killing program that can silently remove malicious activities. These 3rd-party apps are always hurting user’s security, privacy as well as computer performance. It’s a simple, responsive and multi functional small tool used to eliminate existing trojans. It will also can find and eliminate worms from browser plugins as well as from 3rd party extensions. The layout is just simple with menus on the left side. The developer has also released on of mostly used anti-malware called malwarebytes antimalware. AdwCleaner has small database in size but rich with newer security updates. Many of us did not know about potentially unwanted programs (PUP) that may be installed without user permission. 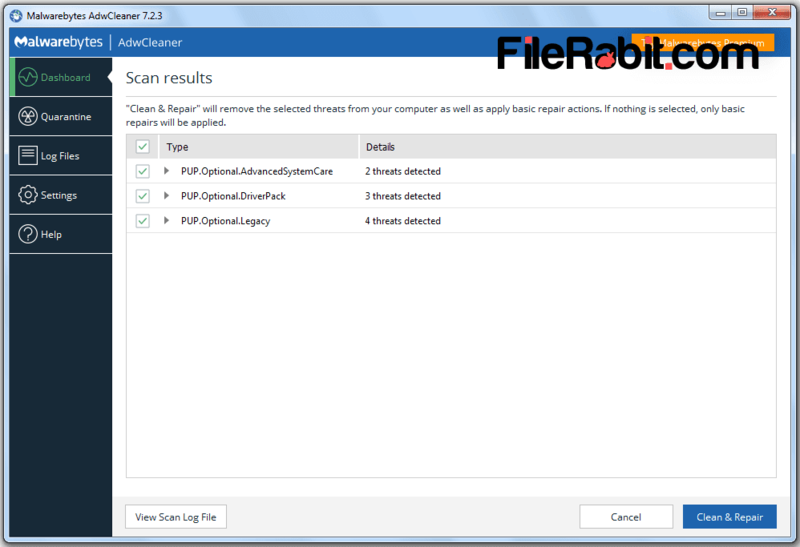 AdwCleaner is able to perform a deeper scan to find malicious, unwanted and suspicious programs. PUPs are dangerous in many occasions because hackers and seekers are always looking to destroy user data, theft user credentials and as a result, user may lost hundreds of dollars. These smart programs would be installed alongwith software installation or in shape of plugins, extensions or download manager advertisement as well. 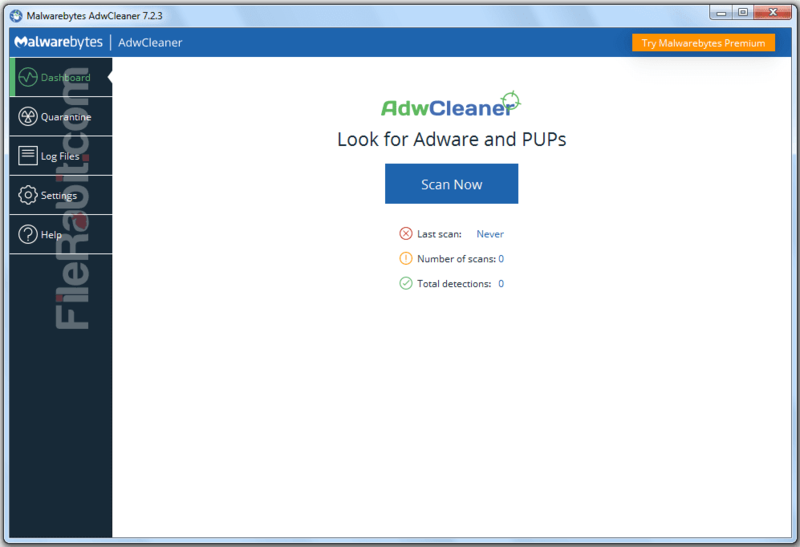 AdwCleaner will perform smart scan and automatically hunt these PUP and adware rapidly. 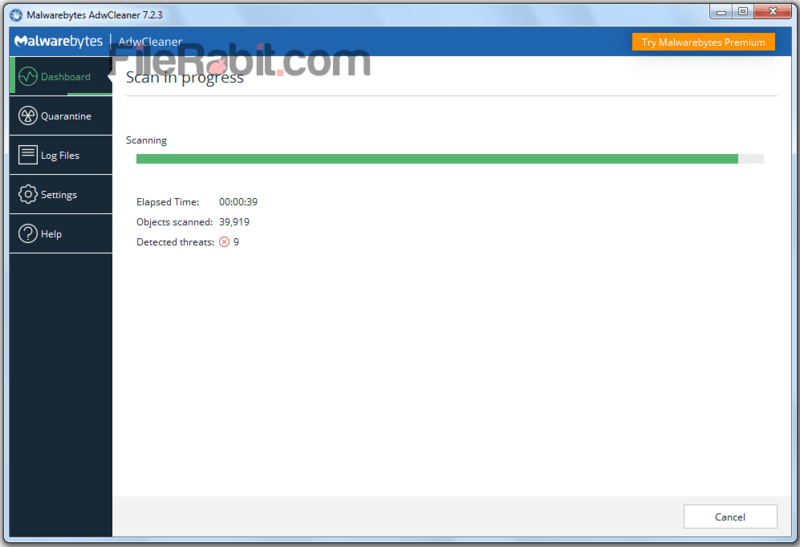 Although, AdwCleaner can eliminate its toolbar, unwanted freeware applications, adware and similar activities silently. These programs may hurt user data, credentials as well as privacy information. Top ranked antivirus are always skip these PUP applications that may harm user computer performance too.